One of the major features of the middle chapters of Genesis is a plethora of good people trying to accomplish good things in the worst possible way. Sarah trying to bring an heir into the world to fulfill the promises of God via the womb of her Egyptian servant. Her husband Abraham going along, though it means infidelity to his own wife. Scripture doesn’t tell us whether Hagar was an especially attractive woman, so let’s give the patriarch the benefit of the doubt and just say he unwisely capitulated to Sarah’s poorly-thought-out plan rather than to something less honorable, like garden-variety male lust. Then we come to Rebekah. Now Rebekah was unquestionably God’s choice to marry Abraham’s son Isaac. It’s difficult to get around that. The circumstances of their marriage were unusual. Abraham sends his servant to Haran to take a wife for Isaac from his own family rather than from the neighboring Canaanites. Good move. The poor servant, laden with camels and gifts but with little confidence any eligible maiden in Haran would want to move to Canaan to marry someone she’d never met, finds himself at his destination, offering up silent prayer to the God of his master that he will show his will through a convoluted set of unlikely circumstances the servant basically cooked up on the spot. And God does. And the woman so revealed is Rebekah. And she agrees to come with him, notwithstanding her family’s desire to keep her around as long as possible. This series of coincidences is so profoundly improbable that we can only concede God’s active presence in it. Everyone involved certainly did. So we know God was behind the marriage. The choice of Rebekah is not the problem. Some of her character qualities, though, seem oddly familiar to anyone reading the surrounding chapters of Genesis. She demonstrates precisely the same inclination to do good things the worst possible way as her late mother-in-law, to whom she was only distantly related. (A great-niece, perhaps?) Not only that, but she has also spent most of her life in Haran, far away from Abraham and Sarah and their misguided attempts to fix spiritual things that weren’t actually broken. Thus we cannot confidently attribute to either nature or nurture Rebekah’s decision in Genesis 27 to deceive her husband in order to elevate her favorite son. So let’s just stop speculating and tell the story. Like Sarah, Rebekah was acting in view of a very specific prophecy. She was a woman of faith. I’m not kidding about that. Sarah believed — with very good reason — that Abraham was to be the father of a great nation and to bless the world. What’s not to like about that when you’re married to the man? Of course she was willing to do whatever she could to contribute to the cause, even to the point of offering her servant to her husband sexually. 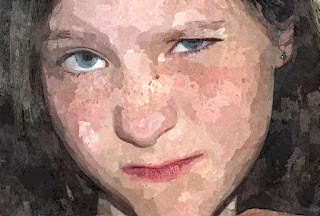 Can you see where Jacob might have acquired his famously manipulative nature? It probably wasn’t from dad. Rebekah’s scheming and risk-taking in her relationship with her husband and elder son is usually ascribed to her great affection for Jacob. That passion is hard to miss. The writer of Genesis explicitly notes it. However, I have never heard her affection for Jacob attributed to faith in the word of God. It is not unreasonable to infer that Rebekah’s takeaway from her prayer was This is the one that matters. It is very possible her attachment to Jacob was a product of something more spiritually significant than natural compatibility. I certainly think so. Over the years, I have seen genuine passion for the things of God combined with methodological carnality too many times to discount the possibility that Rebekah’s intentions were far better than her execution. She certainly seems to have believed God’s promises and blessing were worth seeking. Further, she believed they were important enough to put her own comfort and relationships at risk to pursue them for her son. There are also good reasons to speculate that Rebekah’s interference in the blessing process had less to do with a lack of confidence in God and more to do with a lack of confidence in her husband’s discernment. Isaac had a notable preference for Esau that was not based on anything spiritual. Then there is the Gerar episode, in which Isaac denies his relationship to Rebekah for his own safety. It falls right between Jacob’s acquisition of Esau’s birthright and the acquisition of his blessing, and calls Isaac’s ability to lead his family consistently into serious question. Either Isaac did not believe his wife had truly received a message from God, or else (and this is difficult to believe) he deliberately rejected God’s expressed will for Jacob and Esau. You tell me: who is the real bad guy here? I’m thinking it might not be the manipulative wife. In all of this, there is a kind of imperfectly realized faith to be observed in Rebekah which Esau demonstrably did not possess. The problem was that, like so many others, she thought God’s promises required a little human assistance along the way. So what is it about people who appear to prize the blessings of God, yet go about chasing them in the most unlikely and least admirable ways? Their intent is commendable, if not the way they pursue their goals. Even God seems to think Esau’s stolid indifference toward the blessings to which he was entitled by birth order a greater sin than Jacob’s lack of charity toward his brother. 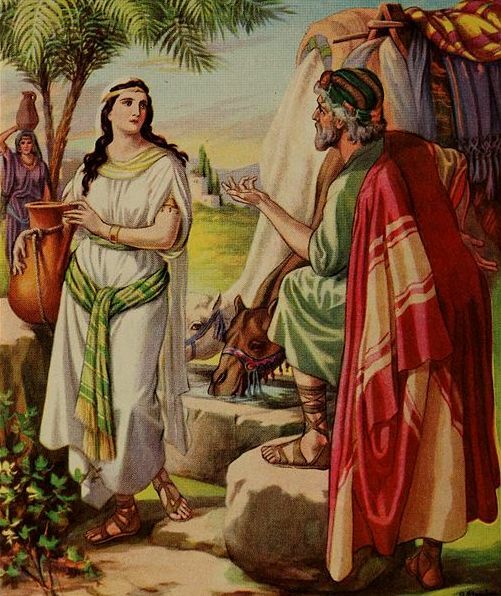 When Jacob strikes a bargain with Esau to acquire his birthright in exchange for bread and lentil stew (and, more importantly, the future in God’s purposes that comes with it), the chapter ends with the words “Thus Esau despised his birthright,” as opposed to something like “Thus Jacob connived to obtain a privilege to which he was not entitled.” The latter may be true, but it is not the primary message the Holy Spirit wants us to take away from the incident. Jacob had much to learn and much to account for. He would do both. But Esau lacked something fundamental that Sarah, Rebekah and Jacob all possessed, the defects in their methods notwithstanding. In short, it’s better not to err at all, but if you’re going to err, err on the side of enthusiasm for the things of God, not on the side of spiritual docility and ambivalence. Put another way, it is possible even for faith to express itself in ways that displease the Lord when that faith is combined with human impatience, presumption and carnality. On the other hand, it is absolutely impossible to please him without it.